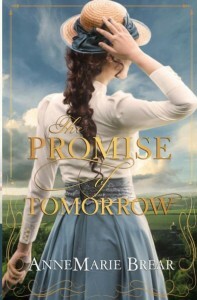 *The Promise of Tomorrow (Paperback) (Historical Romance Deal of the Day, Sponsor, If you like Dilly Court, Rosie Goodwin) by AnneMarie Brear. Price: $13.49. 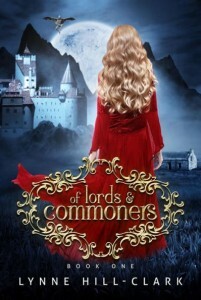 Genre: Historical Romance Deal of the Day, Sponsor, If you like Dilly Court, Rosie Goodwin. Rated 5 stars on 1 review. 355 pages. ASIN: B07GHCXQ8Y. *Of Lords and Commoners (Lords and Commoners Series) (Fantasy Romance of the Day, Sponsor, Twilight meets Underworld) by Lynne Hill-Clark. Price: $0. Genre: Fantasy Romance of the Day, Sponsor, Twilight meets Underworld. Rated 4.8 stars on 13 review. 365 pages. ASIN: B01HFH7KYO. 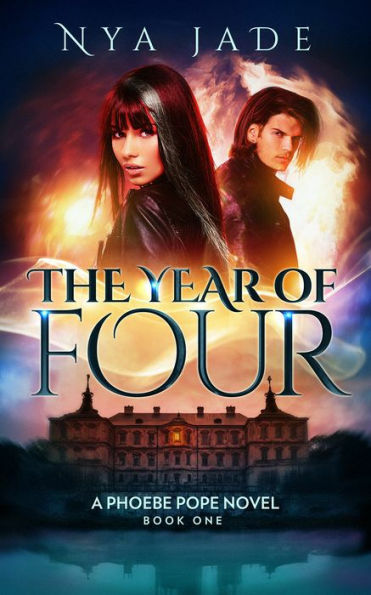 **The Year of Four (Hollywood Romance for all Ages Deal of the Day, Sponsor, There’s Something Sinister lurking beneath the Movie Star’s Glitter and Fame) by Nya Jade. Price: $3.99. Genre: Hollywood Romance for all Ages Deal of the Day, Sponsor, There’s Something Sinister lurking beneath the Movie Star’s Glitter and Fame. Rated 4.6 stars on 68 review. 340 pages. ASIN: B009Y9U8PK. *Tough Luck Cowboy (Crossroads Ranch) (Romance Deal of the Day, Sponsor, Hachette, Western Romance, It’s Just a Matter of Time until His True Feeling Come to Light, Will it be the Biggest Mistake of his Life, or a Sign that his Luck is about to Change) by A.J. Pine. Price: $5.99. Genre: Romance Deal of the Day, Sponsor, Hachette, Western Romance, It’s Just a Matter of Time until His True Feeling Come to Light, Will it be the Biggest Mistake of his Life, or a Sign that his Luck is about to Change. Rated 4.2 stars on 26 review. 320 pages. ASIN: B07868DN81. *Mr. September (Heroes of Rogue Valley: Calendar Guys Book 9) (Romance Deal of the Day, Sponsor, A woman who avoids public attention, Publicity Loving Ethan) by Ann Roth. Price: $3.99. Genre: Romance Deal of the Day, Sponsor, A woman who avoids public attention, Publicity Loving Ethan. Rated 5 stars on 1 review. 111 pages. ASIN: B07FZ8N8T8. *Eight Goodbyes (Romance Deal of the Day, Sponsor, Romantic, Sweet and very Emotional at Times) by Christine Brae. Price: $4.99. Genre: Romance Deal of the Day, Sponsor, Romantic, Sweet and very Emotional at Times. Rated 4.5 stars on 45 review. 278 pages. Paperback version! ASIN: B07DHC7RWQ. *The Candle Room (Paperback) (Legal Thriller Deal of the Day, Sponsor, His First Case could Cost Him not only his Career but his Life) by Daniel K Gentile. Price: $14.78. Genre: Legal Thriller Deal of the Day, Sponsor, His First Case could Cost Him not only his Career but his Life. Rated 4.4 stars on 32 review. 424 pages. ASIN: B01A9CDXMA. **Eye of the Moon (Paperback) (Mystery Deal of the Day, Sponsor, A House made into a Home, A Pure Gothic Tale, Sinister Families, An All Knowing Butler) by Ivan Obolensky. Price: $16.99. Genre: Mystery Deal of the Day, Sponsor, A House made into a Home, A Pure Gothic Tale, Sinister Families, An All Knowing Butler. Rated 4.8 stars on 65 review. 554 pages. ASIN: B07BH41NB5. *Game of Twins (Mystery Deal of the Day, Sponsor, Weaves a seemingly Factual Tale of Mystery, Murder, and Mayhem Spanning an Entire Century) by Mo Robinson. Price: $4.99. Genre: Mystery Deal of the Day, Sponsor, Weaves a seemingly Factual Tale of Mystery, Murder, and Mayhem Spanning an Entire Century. Rated 5 stars on 1 review. ASIN: B07GVTYBYT. *To Love (The McNally Series Book 1) (Christian Romance Deal of the Day, Sponsor, Romance Suspense) by Laura Scott. Price: $0.99. Genre: Christian Romance Deal of the Day, Sponsor, Romance Suspense. Rated 4.5 stars on 19 review. 196 pages. ASIN: B07DMP5C9R. *Hangdog: Shoulder to Shoulder (Paperback) (Christian Fiction Deal of the Day, Sponsor, A Fictional Tale with Great Directional Faith) by Tylie Vaughan Eaves. Price: $15.97. Genre: Christian Fiction Deal of the Day, Sponsor, A Fictional Tale with Great Directional Faith. Rated 4.8 stars on 11 review. 316 pages. ASIN: B07FWCRRCZ. *Beyond Chains (Christian Living of the Day, Sponsor) by Mark Anthony Nze. Price: $0. Genre: Christian Living of the Day, Sponsor. Rated 5 stars on 1 review. Author’s website! *The Saga of Sarah and Caleb (Science Fiction Deal of the Day, Sponsor, Hollow Earth Science Fiction) by Dee Cope. Price: $19, Pre Order Special. Genre: Science Fiction Deal of the Day, Sponsor, Hollow Earth Science Fiction. Rated 5 stars on 1 review. ***Connor’s Gambit (Military Science Fiction Deal of the Day, Sponsor, Space Empire) by Z Gottlieb. Price: $0.99. Genre: Military Science Fiction Deal of the Day, Sponsor, Space Empire. Rated 4.4 stars on 109 review. 502 pages. ASIN: B01N257TRC. Monster Under My Bed (Roger Whitt’s Monsters Book 1) (Science Fiction of the Day, Sponsor, If he can’t Control his Fears and Become a Monster Hunter, His Imaginations will Swallow him Whole) by Kyle Adams. Price: $0. Genre: Science Fiction of the Day, Sponsor, If he can’t Control his Fears and Become a Monster Hunter, His Imaginations will Swallow him Whole. Rated 5 stars on 1 review. ASIN: B07FRY41X4. *The Slave King (Parthian Chronicles Book 10) (Historical Fiction Deal of the Day, Sponsor, The Parthian Empire, An Army of 100 Men and 100 Women) by Peter Darman. Price: $4.50. Genre: Historical Fiction Deal of the Day, Sponsor, The Parthian Empire, An Army of 100 Men and 100 Women. Rated 5 stars on 8 review. Paperback version! ASIN: B07DKFN4PR. **Jaclyn and the Beanstalk (YA Fantasy Deal of the Day, Sponsor, What Fate Awaits a Girl who Hears Monsters at Night) by Mary Ting. Price: $1.99. Genre: YA Fantasy Deal of the Day, Sponsor, What Fate Awaits a Girl who Hears Monsters at Night. Rated 4.5 stars on 56 review. 214 pages. ASIN: B07GL97KM5. *The Royal Order of Fighting Dragons (YA Fantasy Deal of the Day, Sponsor, YA Adventure, Magical Tale) by Dan Elish. Price: $1.99. Genre: YA Fantasy Deal of the Day, Sponsor, YA Adventure, Magical Tale. Rated 5 stars on 8 review. 424 pages. ASIN: B07G5MBFJF. *Snow Flower And The Panther (Paperback) (Children’s Book Deal of the Day, Sponsor, Beautifully Illustrated, A lovely Story that Sparkles with Friendship and Love) by Fleurie Leclercq. Price: $12.99. Genre: Children’s Book Deal of the Day, Sponsor, Beautifully Illustrated, A lovely Story that Sparkles with Friendship and Love. Rated 4.9 stars on 16 review. 43 pages. ASIN: B07DYHP7RZ. *HENDER NATHANIELS: He didn’t haunt, he taught! (Children’s Books Deal of the Day, Sponsor, He’s a Spirit that didn’t Haunt, he Taught) by BRI B.. Price: $2.99. Genre: Children’s Books Deal of the Day, Sponsor, He’s a Spirit that didn’t Haunt, he Taught. Rated 5 stars on 1 review. 243 pages. ASIN: B07D94YMVL. *“Cucumbers Have Thorns and Snakes Loves Strawberries”: How I won (Paperback) (Women’s Fiction Deal of the Day, Sponsor, Women’s Memoirs, If you liked The Color purple, A Father and Daughter whose lives are torn apart) by Janice E. Sullivan. Price: $12.26. Genre: Women’s Fiction Deal of the Day, Sponsor, Women’s Memoirs, If you liked The Color purple, A Father and Daughter whose lives are torn apart. Rated 4.9 stars on 31 review. 340 pages. ASIN: B0040JI3S8. *Brass Keys to Murder (Mystery & Suspense Short Stories Collection) (Adventure of the Day, Sponsor, NY Times Bestselling Author, Pulp Fiction) by L. Ron Hubbard. Price: $0. Genre: Adventure of the Day, Sponsor, NY Times Bestselling Author, Pulp Fiction. Rated 4.8 stars on 11 review. 132 pages. ASIN: B0094O3XJI. *Broadway José (Paperback) (Biographies & Memoirs Deal of the Day, Sponsor, A Very entertaining Read, If you have spent time in a foreign country, or love Football) by Mitchell Belacone. Price: $9.99. Genre: Biographies & Memoirs Deal of the Day, Sponsor, A Very entertaining Read, If you have spent time in a foreign country, or love Football. Rated 5 stars on 4 review. 169 pages. ASIN: B06Y5VPKSR. *ABCD OF HACKING: The Beginner’s guide (Nonfiction Deal of the Day, Sponsor, How do Computer Hacks or Website Hacks Happen) by Shashank Pai K. Price: $9.99. Genre: Nonfiction Deal of the Day, Sponsor, How do Computer Hacks or Website Hacks Happen. Rated 5 stars on 2 review. 114 pages. ASIN: B07BTCN4ZJ. *The 6D of Health (Non Fiction Deal of the Day, Sponsor, Basic Knowledge of Health in the Six Domains of Health, The Triune Concept of Humans, Spirit Soul Body) by James Alegbeleye. Price: $11.99. Genre: Non Fiction Deal of the Day, Sponsor, Basic Knowledge of Health in the Six Domains of Health, The Triune Concept of Humans, Spirit Soul Body. Rated 5 stars on 1 review. 292 pages. Paperback version! ASIN: B077NLY88D. *Social Media Just for Writers: How to Build Your Online Platform and Find and Engage with Your Readers (Nonfiction Deal of the Day, Sponsor, Best Apps and Sites for Writers, Reach Thousands of Readers) by Frances Caballo. Price: $4.99. Genre: Nonfiction Deal of the Day, Sponsor, Best Apps and Sites for Writers, Reach Thousands of Readers. Rated 4.3 stars on 15 review. 231 pages. ASIN: B01N5RJGST. *The 7th Sense (Paperback) (Non Fiction Deal of the Day, Sponsor, True Story, Opens your Eyes to Powerful Secret Knowledge) by Guy Lozier. Price: $13.99. Genre: Non Fiction Deal of the Day, Sponsor, True Story, Opens your Eyes to Powerful Secret Knowledge. Rated 5 stars on 1 review. 91 pages. ASIN: B078Q3341J. *Teach Yourself Chess: The first coach of the world champion presents: (Non Fiction Deal of the Day, Sponsor, Chess Guide, Learn the Basics of Chess, Get Excellent Results) by Dmitri Dobrovolski. Price: $2.99. Genre: Non Fiction Deal of the Day, Sponsor, Chess Guide, Learn the Basics of Chess, Get Excellent Results. Rated 5 stars on 1 review. 114 pages. ASIN: B01MYW4E7U. *Africa Arrives! – The Savvy Entrepreneur’s Guide to The World’s Hottest Market (Nonfiction Deal of the Day, Sponsor, Africa as a Gold-Mine Global Market For The Next 50 Years, Business Guide) by Mark Byron, Robert Joseph Ahola. Price: $0.99. Genre: Nonfiction Deal of the Day, Sponsor, Africa as a Gold-Mine Global Market For The Next 50 Years, Business Guide. Rated 4.6 stars on 18 review. 346 pages. ASIN: B07C3YMLFM. *Get After It: Seven Inspirational Stories to Find Your Inner Strength When It Matters Most (Nonfiction Deal of the Day, Sponsor, True Story, 7 Inspirational Stories from the Author, From Baghdad to Afghanistan, Stories that will make you cry and reflect) by Parker Schaffel. Price: $0.99. Genre: Nonfiction Deal of the Day, Sponsor, True Story, 7 Inspirational Stories from the Author, From Baghdad to Afghanistan, Stories that will make you cry and reflect. Rated 5 stars on 5 review. 221 pages. ASIN: B07GC1PWSM.